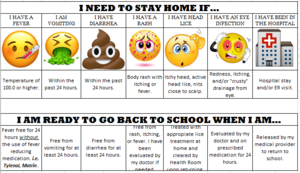 This chart is a great resource to use to determine if your child is sick. The winter months can bring lots of sickness to our students. 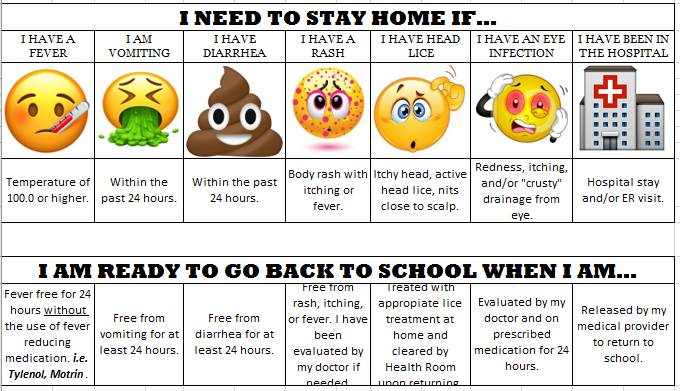 Please refer to this chart as a reference if your child is not feeling well.